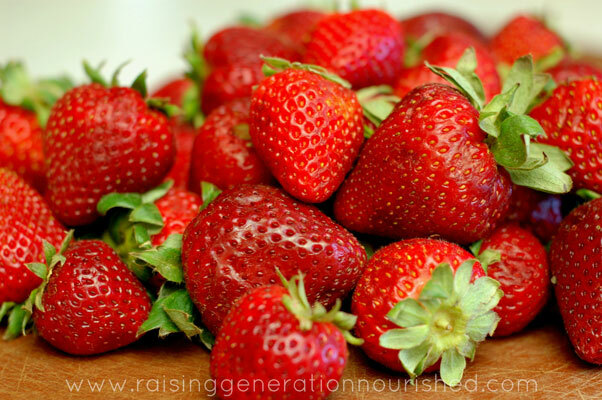 I am so excited for strawberry season I can hardly stand it! I am quite sure that this past winter must have hit some sort of record book where I live for the longest winter ever. I probably say that every year. But those long winters, and slow to warm up springs bring us some of the best strawberry picking around. We hit up our local U-Pick every late June and pick some of the most beautiful, juicy strawberries you have ever seen! My goal is typically 40-ish pounds of strawberry picking. You can’t beat U-Pick pricing so I stock up and we rarely have to buy strawberries from a store during the year. So what do I do with all of those strawberries?! I freeze a majority of them. They make perfect smoothies and additions to yogurt. But this year I wanted to try making store-able cereal with some of the strawberries. 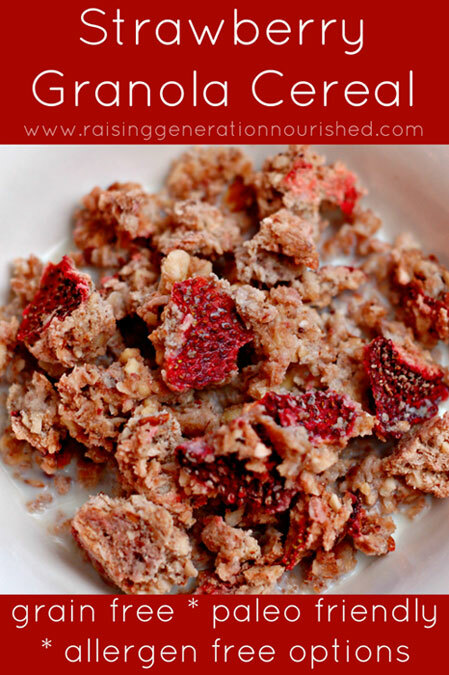 I took my plain, grain free granola recipe that I make often using applesauce and raisins and swapped for strawberry puree and strawberries. I was more than impressed, and it was a hit with my family. 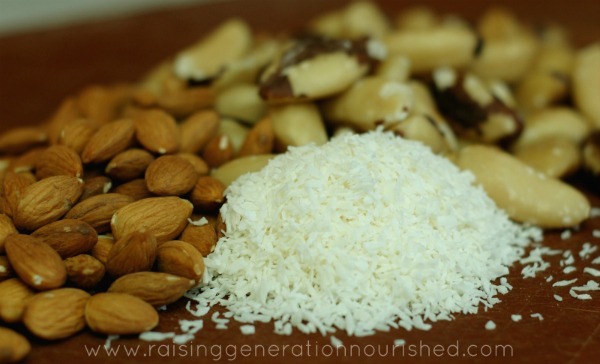 I used Brazil nuts in the recipe as I am working on nourishing some thyroid issues through selenium since my last pregnancy. You can do an equal swap with a different nut variety if you want. If you are nut free, you can swap the nuts for sunflower seeds or pumpkin seeds. Otherwise the recipe should be quite allergen friendly for all! My plan this June is to quadruple this batch that I am sharing with you today. Granola stores well in airtight containers or bags and I plan to store in the freezer with such a large quantity. 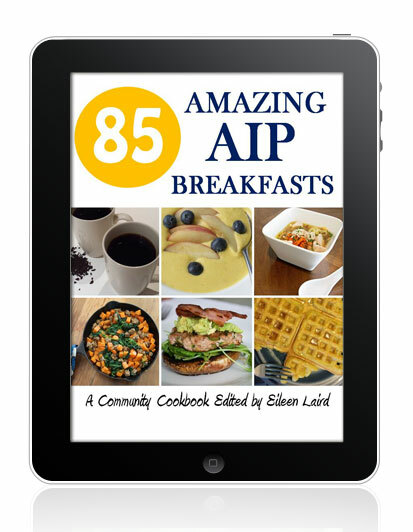 It makes for quick pull out breakfasts on busy mornings. I will probably even store one bag way far back in the freezer so I forget about it until about January. 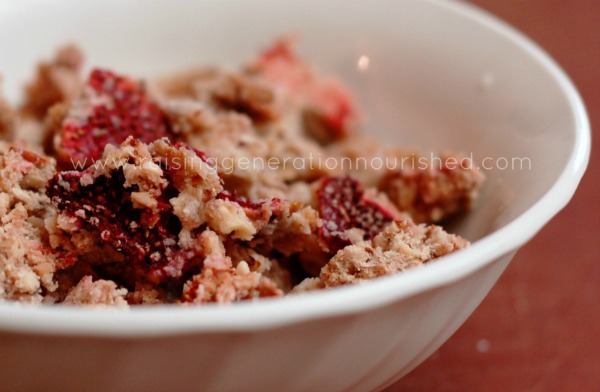 What a treat to have summer strawberry cereal in the dead middle of winter! We usually enjoy ours with raw milk or in our raw yogurt. 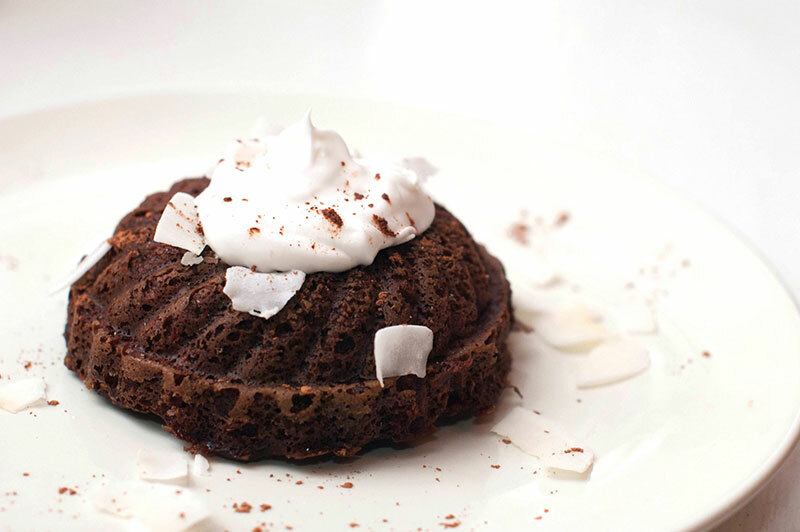 But if you are dairy free, you can enjoy it with coconut milk or coconut yogurt. It is even super yummy just on it’s own! A quick note if you don’t have a dehydrator! Don’t make that stop you from making your own granola. I have only had a dehydrator for the last year, and before that I made granola all the time. Just set the granola mixture on baking sheets in your oven at the lowest temp on a day where you are at home and can stir it around every so often. It works just as well, and if you make a big enough batch you only have to do it every so often. Before you make the cereal, you will want to soak your nuts or seeds to make them easier to digest. Put the chopped nuts in a medium bowl with the sea salt and fill the bowl with water until the nut mixture is covered completely. Let the bowl sit in a warm spot in your kitchen 8-12 hours (It is pretty cold where I live so I set them under the light in my oven in the winter). After soaking, simply strain out the water in a fine mesh strainer and dump the nut mixture into a large mixing bowl to combine the rest of the ingredients. **I soaked my nuts during the day and then got the granola into the dehydrator over night. You could also soak the nuts overnight and get them into the dehydrator during the day. Add the rest of the ingredients except the chopped strawberries, to the nut mixture in the large mixing bowl, and combine well. 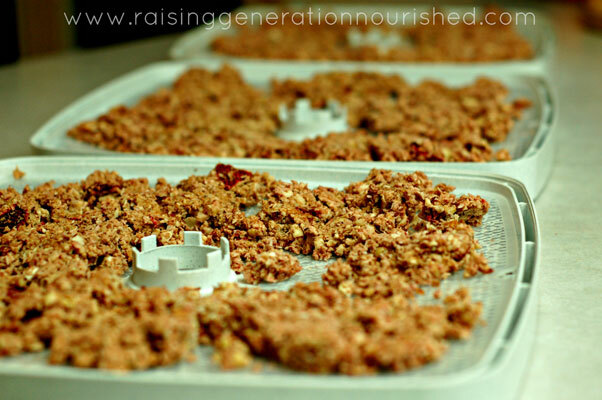 Spread the granola mixture on your dehydrator trays and dry out according to your machine. I did mine at 135 degrees overnight. 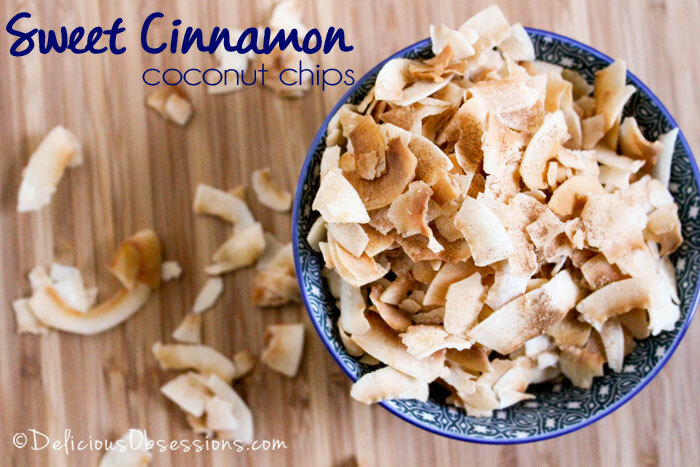 If you don’t have a dehydrator, you can still make this! Set your oven at the lowest temp and dry out over a few hours – you will want to do this during the day so you can keep an eye on them and stir the granola around a bit. After the granola is dryed out, let it cool to room temperature, and then break it apart into the size pieces you want. I keep some bigger as that is how my hubby likes it for his yogurt breakfast at work. And I keep some quite small since I have little mouths eating it. Do you sprout the nuts before using in this recipe? Hi Michelle – You certainly can if you prefer! Enjoy! Thanks for clarifying how to soak nuts to get the phytates neutralized. Dr. Oz only eats soaked nuts and keeps a jar of them in his office, but never said what to do! ; ) thanks again! Hi there! I know this recipe is 3 years old, but I did notice what is a typo. In your ingredient list you said to use “1 TBS. of sea salt”. I thought to myself, this is too much, so I used my 1/2 TBS. measuring sppon, then used maybe a little less than half of that, and this still was a little to salty, so I had to add more strawberries, and honey to balance it out. I’m praying that this works out, when It’s done in my dehyrator, that it will still taste great.? So PLEASE for your readers, change the amount of salt to add in your recipe. Thanks so much!??? I left a comment yesterday about there being a possible typo for the TBS of salt, but it appears that it never made it to show, lol. Well anyways, my granola turned out to be good with the following adjustments: I added more raw honey, and I gently heated the coconut oil and honey, stirring so they would emusify, then add the vanilla extract when that’s done, add to the mixture. I also subbed the coconut flour for almond flour, and I also cut the shredded coconut to a 1/2 cup, as I don’t like coconut all that much. After breaking some small pieces in my bowl, they even hardened up when it was in the milk, which gave it the crunch that I was looking for. Thanks! I do apologize! I just read this again, and realized what the sea salt was for, and I made another batch. Now I’m waiting for it to dry in the dehydrator. ? Thanks again for the recipe. Also, do you know how long this will store for long term? Hi Michelle! 🙂 Awesome! So glad you figured it out! I personally keep mine in the fridge and it will last at least a month in there. You could probably freeze it too. 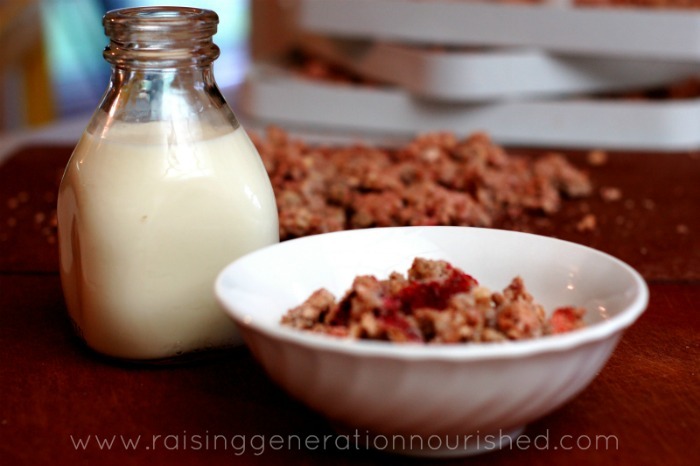 I have not frozen this specific recipe, but I have other homemade granola and it works great! Hi there! 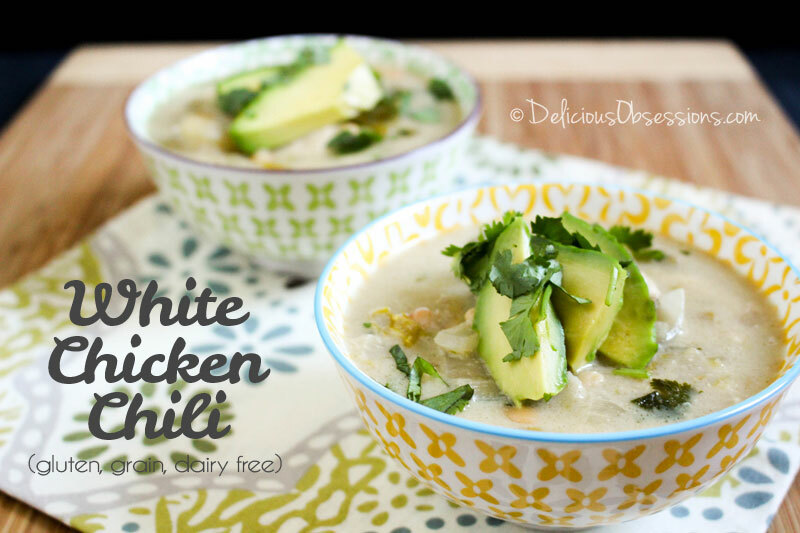 Since I’ve gone back paleo, this is my go to recipe. I decided to make another batch today, and I forgot that i didn’t have anymore brazil nuts, so I decided to us some unsalted macadamia nuts, about 3 cups of chopped soaked/peeled almonds to1 cup of chopped macadamia nuts. It still tastes awesome, and I love the strawberry essence in my kitchen, coming the dehydrator. Thanks for a great recipe.